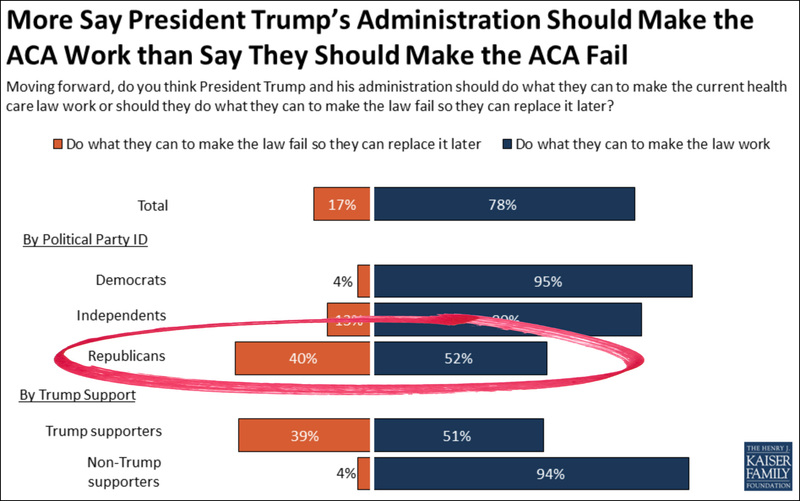 It is, I suppose, a relief that a majority of Republicans don’t want Trump to deliberately sabotage Obamacare. At the same time, a full 40 percent of Republicans think this is a great idea. That’s not surprising, perhaps, but it sure is discouraging.